My daughter Serenity is wearing the costume. We got the idea from the remake of the movie IT that came out recently. We made it by hand. We bought a wedding dress and a white childs dress from Goodwill. We cut it up and sewn it together. She played the part really well. This is awesome! Great work!! 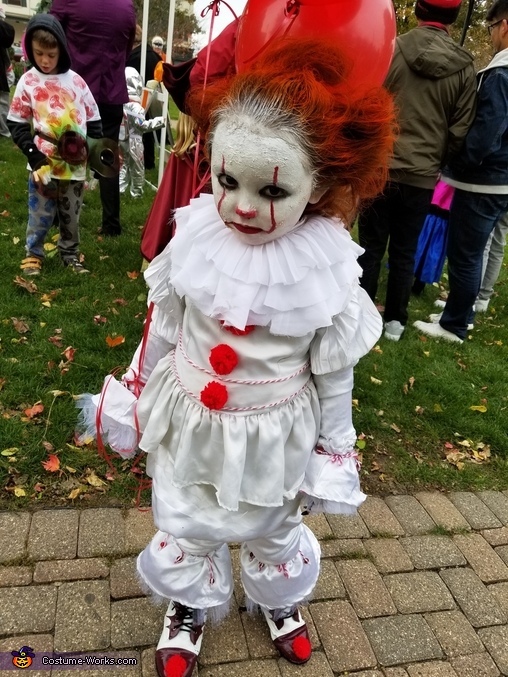 Omg my daughter Serenity wants to be pennywise. I cannot find a costume in her size anywhere and i dnt know how to sew. Ur so awesome!!! !